I did not love The IT Crowd immediately. In fact, my first attempt to watch the show ended after the second episode of the first season, much to the dismay and consternation of a few of my fellow REO contributors. It just didn’t work for me. 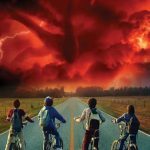 I gave up after those two episodes and figured I would never come back to it. A few years later, I changed my mind and decided to give it another chance. Some of the REO braintrust, Nathan Patton, Gowdy Cannon, and Benjamin Plunkett, were huge fans, and as I value their opinions on most things, I knew that I had to stick it out. Now, it did not work right off the bat, even the second time through. I still found some things in those early episodes that annoyed me, but slowly, I started to appreciate the humor and the characters. 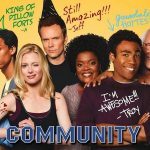 For the uninitiated, The IT Crowd follows two socially dysfunctional men (Roy and Moss) who work for the IT department of a large company. In the first episode, we are introduced to the woman (Jen) who somehow manages to be placed in their department as some sort of manager though she has no IT or computer expertise. It’s a match made in heaven. Of course, there are many side characters that add a lot of humor and charm to the show – characters like Denholm Reynholm, his son Douglas, and most importantly, Richmond Avenal, a reclusive gothic weirdo who hides/lives/works in the basement of the building. In the second season (Series Two for the Brits) Jen is having a dinner party with her new boyfriend. At the last minute, the men she had invited are unable to attend, so she is forced to invite a few of her coworkers – Roy, Moss, and Richmond. 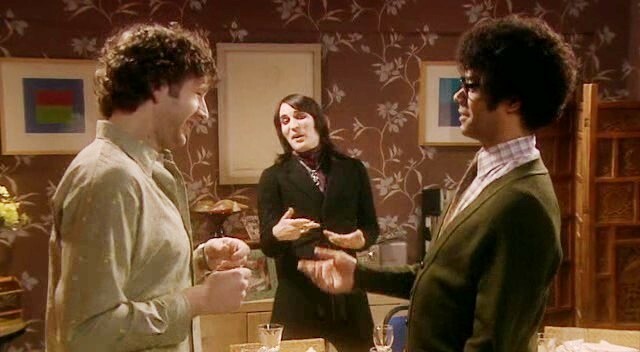 I doubt I have laughed more at any other scene in the series as I did during the dinner party that ensues. From the three men and their inability to be remotely normal – their efforts to look normal kill me every time I watch it – to their absolute lack of self-awareness when it comes to conversation and social etiquette. Jen is beside herself in embarrassment but we as the audience are all better off having seen the insanity on display. This was the episode that convinced me that the show had greatness in it. It made every episode around it better due to how perfectly every aspect of this dinner party was deployed. I’ll leave you with the classic, “look normal” pose. Psych was about Shawn and Gus but in this episode, Tim Curry steals the show. Guest starring as Nigel St. Nigel, the lead judge on the fictional American Duos, Curry plays a parody of Simon Cowell. Except if Cowell were about 100X funnier. Wielding an acerbic wit and his natural and phenomenal British accent, he trash-talks everyone with whom he comes in contact with clever and side-splitting material. As when he claims Lassiter’s hair looks like it’s been poured out of a cake mold. So naturally he has enemies and the main plot is that someone is trying to kill him. He is seemingly not safe anywhere so they eventually put him at Henry’s house, where the competent ex-cop can keep an eye on him. And as Henry, Nigel, Shawn and Gus sit down to steaks that Henry has evenly marinated, the fun begins. Nigel has helped himself to Henry’s bathrobe. He calls Henry “Horace”. He asks who decorated the place, “Kris Kristofferson?” Henry tries to keep up in the putdown war but he’s clearly outmatched as if he brought a fork to a gun fight. Nigel has an endless arsenal of insults and they are all hilarious. Shawn and Gus are not to be completely ignored, however, as Gus procures three full ears of corn from the fridge and continuously and violently slaps Shawn’s hand away when he tries to have some. The seriousness and tenacity with which Gus denies Shawn his corn (“Keep playing, Shawn! Go ahead!) is evidence of why Gus is one of the great TV characters ever to me. The Office is famous for being hilarious yet so awkward it’s almost hard to watch. This episode is a prime example of that. 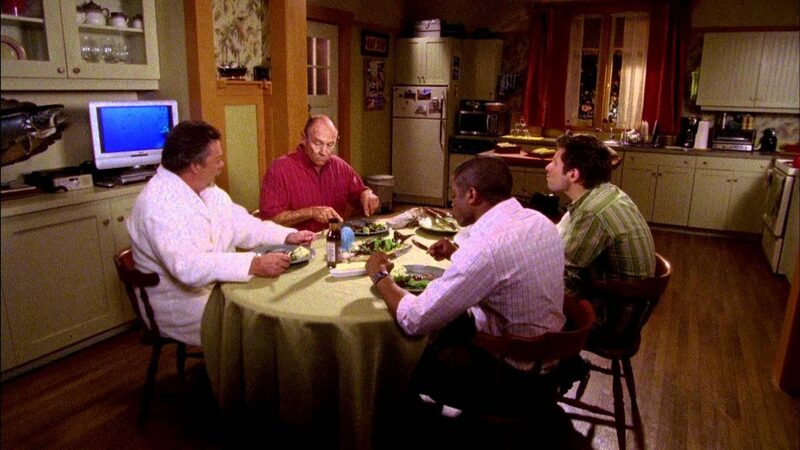 In fact, it would not surprise me one bit if this were officially awarded The Most Awkward Dinner Party in TV History. It definitely deserves an awkward award. Again, it is hilariously so. The evening begins simply enough for Jim and Pam, albeit with a small glimpse into Michael and Jan’s decidedly dysfunctional relationship in their clearly Jan-centric home. After they are joined by Andy and Angela, the evening slowly continues to escalate to ever more horribly awkward levels. At one point Jim tells the camera, “Michael and Jan seem to be playing their own separate game, and it’s called, ‘let’s see how uncomfortable we can make our guests.’ And they’re both winning.” About three hours later Dwight arrives uninvited with a date (his former babysitter), and his own glasses and food (beet salad, of course.) For the rest of the evening he is gloriously oblivious to the mounting tension in the room (either that or in his own Dwightly way he just doesn’t care). But he is only to delighted to take his bosom pal Michael home with him following a huge Jan and Michael blowout that brings the police to their door, serving as the awkward evening’s grand finale. I feel compelled to add at this point that it is in this episode that Michael describes a wine as having “an oaky afterbirth.” And, really, that describes Michael and Jan’s dinner party, doesn’t it? Doesn’t it? It had some sort of awesome oaky, hokey afterbirth. 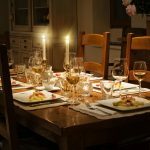 For some time, I have wanted to write about the importance of sitting around a table and eating with friends or family. There is a sacredness to breaking bread together – something that feels almost divinely designed. 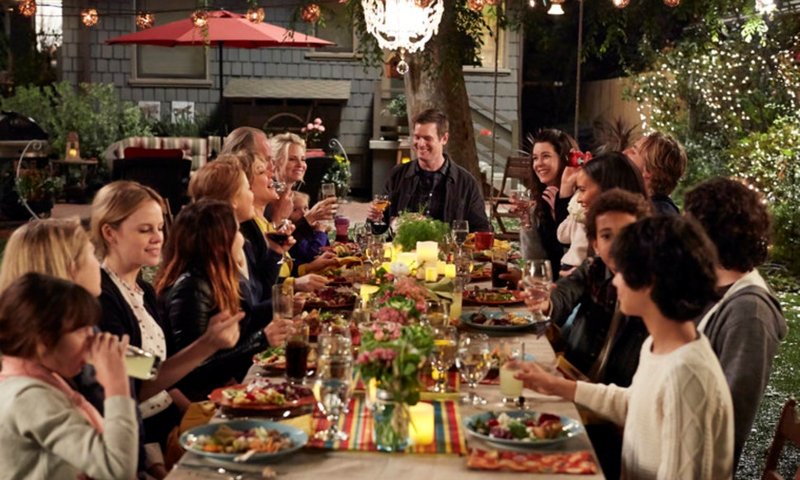 One of my favorite shows of the last 10 years, Parenthood, used dinner scenes as a way to explore family bonds and unity. There are too many dinner scenes in the six-season run of the show to only focus on one, so I won’t even try. Parenthood follows the Braverman family. They are a close-knit group, to say the least. 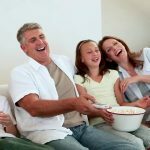 The whole family tree is included, from the patriarch and matriarch to the grown siblings – two boys and two girls, and all their respective families. They are passionate and deeply protective of each other. They fight, they argue, and yet they always find their ways back to each other. A key dynamic in all this passion and familial color is the dinner table. 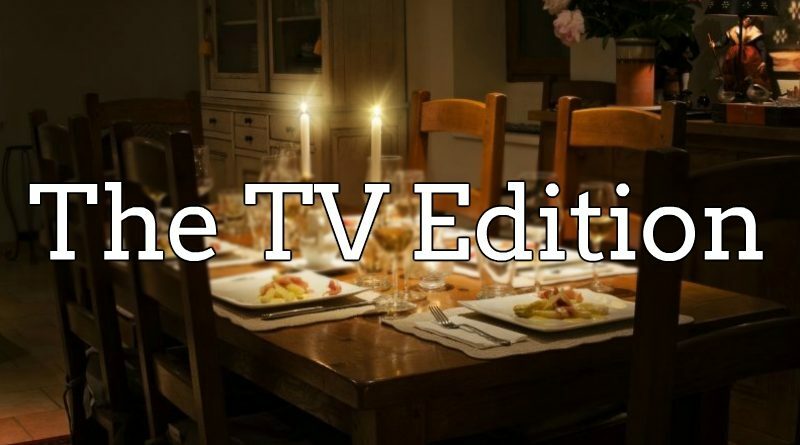 The opening credits even reinforce this idea of what it says about a family that eats together. They are united in all the ways that count. 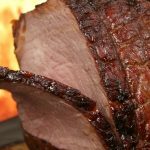 The dialogue in each dinner scene is real – avoiding feeble attempts at plot building, instead opting for character and relationship development. 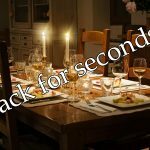 The scenes feel real because they remind us of all those times we’ve sat at a table with our families and friends, with all the accompanying shouts, laughs, and noise. It’s beautiful and sacred stuff and we need more of it in our lives. But at the very top of the list is the Festivus episode, named “The Strike” for Kramer’s subplot. 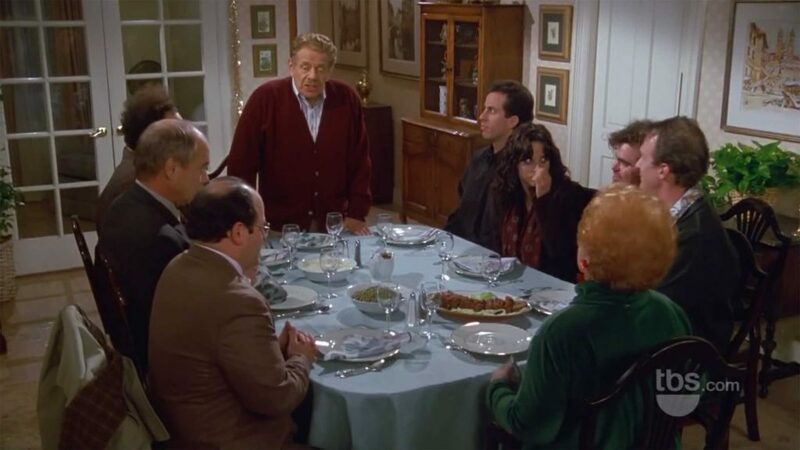 But there is one big reason everyone remembers this episode: the introduction and celebration of Festivus. It’s so popular that a few years ago Jason Alexander said it was the most common thing shouted to him in public, which is saying something. And perhaps no scene in the episode is more memorable and lasting than when a motley crew of nine people–The Big 4, the Costanzas, Kruger and two random mega-creepy guys from the horse track–gather to celebrate this ridiculous made-up holiday. Frank dominates the gathering. He invented it, so he gets the mic. And he does not disappoint. He begins the airing of grievances (He’s got a lot of problems with those people) by trying to insult Kruger but gets disoriented: “You couldn’t smooth a silk sheet if you had a hot date with a babe—-I lost my train of thought.” It’s so realistic I could totally believe Jerry Stiller really forgot his line. Festivus is epic, and it’s never over until George pins Frank. So for that it makes our list. Those are some of our favorites. What are yours? Let us know in the comment section below. And while we’re at it, spend some time around the dinner table with your family and friends. It’s good stuff. The Office episode is hilariously uncomfortable. Michael’s new plasma TV is a thing of beauty and his admission to having multiple vasectomies and reverse vasectomies is almost impossible to watch without cringing and laughing at the same time. Yes. And if I recall right, of all of the countless times Jim looked at the camera in this series, this scene has the mother of them all. They were all good, but this one made me laugh the hardest. I love John Krasisnki just for this.